People have been selling to each other since the beginning of time. The way this occurs has changed a lot over the last few millennium, however the idea is basically the same. One party swaps something they have with another party that wants it. Over the last hundred years there has been a dramatic shift of how a trade occurs with the invention of mass distribution, ie huge shopping malls, and large discount chains. However this way of trading still has its limitations. There needs to be a physical store and staff physically present to run it. Over the last few years, we have seen the the Internet evolve from a geek fueled hobby to an almost essential part of everyday life. It is also now trusted and widespread enough that most people are willing to pay for items online and receive the item via post. 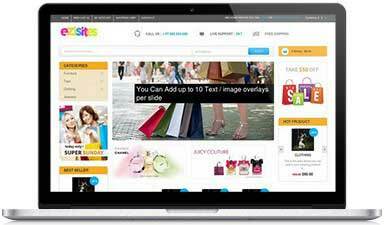 This allows almost anyone to sell online, without the need of a huge physical store or staff to be present. It truly has revolutionized the way goods are sold. However, just like a traditional store, an online store still has a few limitations. Stock needs to be purchased in advance. Stock needs to be physically on-hand to be sent to customers. Someone still needs to package all the orders and dispatch them. You need a huge amount of capital upfront to get started. This is where DropShipping comes in. Drop-shipping is a relatively new way to sell online. Basically you are acting as a middle man. 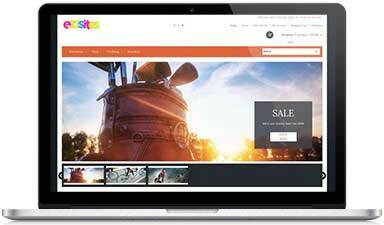 You list someone else's stock, add a markup and make it available for sale on your website. When you sell an item, you simply place an order with the distributor who then sends it directly to your customer. This lets you sell physical products on the internet that you never have to see, store, package, ship, or even pay for in advance. Drop shipping frees up your money and time so you can concentrate on what really matters, generating sales. However, generally setting up DropShip business takes either thousands of hours of your own time, or costs thousands of dollars for a developer to create. SellerBot changes all this by making the creation of a Drop Shipping business simple and affordable. Our system sets up a fully running eCommerce store with a powerful DropShip system fully incorporated. Simply add in some photos, create a few product categories and enter in your suppliers details to our system and SellerBot will do the rest. Once set up your site can be managed in your spare time, does not cost a fortune to run and offers you a realistic approach to making money from home. The key to growing any business is Automation and Systems, this is where SellerBot excels. Every SellerBot website has been developed from the ground up to give you a complete Drop Shipping business that operates Automagically. 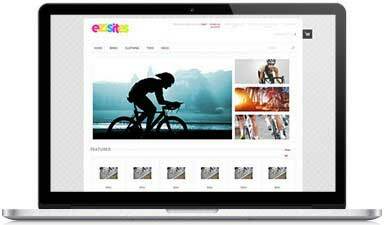 You get access to a complete eCommerce website, set-up with a professional design (there are 14 great designs to choose from). To keep everything as simple as possible there is a complete Admin Area that you can log into from any Internet based computer. This Admin Area has easy to use dedicated Product, Manufacturer and Customer Modules that will have you managing your new shop like a pro in no time. Within this Admin Area you can create categories and sub categories, list and manage thousands of products (the standard plan includes up to 1,500 skus - if you need more let us know as we have larger plans available) and manage your customers information and orders. The platform is also fully integrated with PayPal so you can receive Credit Card payments online instantly from your customers. 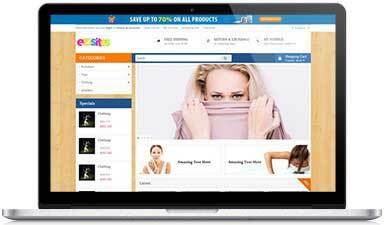 An advanced eCommerce website with a fully featured Admin Area. Created on the domain name of your choice (receive a free .com domain name with every new SellerBot Package). Set-up in the layout of your choice, with an advanced image and color manager built in (so you can make your new site your own). Auto accept online Credit Card payments via PayPal (other payment modules available for a small set-up fee). A complete site front end that lets your customers signup, order and pay for multiple products from multiple distributors. A Fully working admin area you can access from any Internet based computer. A complete product / category area so you can view / edit your products at any time. The ability to list thousands of products and create multiple categories and manufacturers (Need over 1,500 skus? Get in touch). An advanced sales area to view orders, contact customers and see what products are selling the best. Information pages and a blog / news module to keep your site up to date. 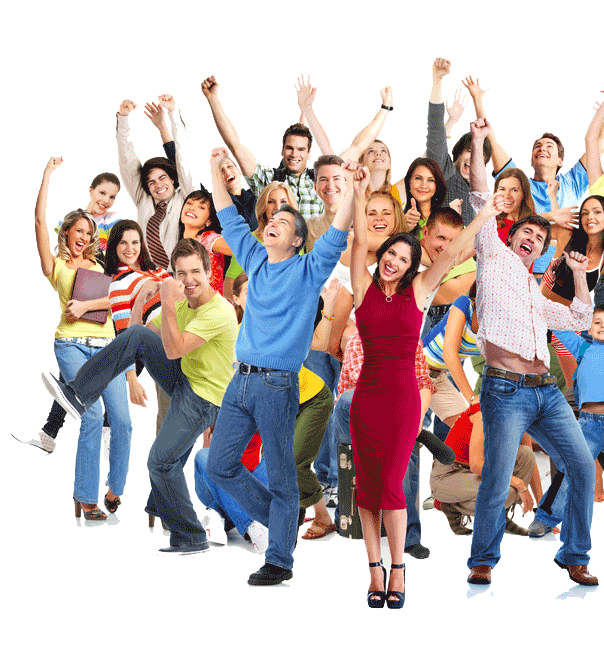 No listing fees, no selling fees - you keep all your profits! World Class Infrastructure Keeps Everything Running Smoothly. No space / bandwidth limits. You are only limited by product count and the resources being used (Fair server use applies). The SellerBot Drop Ship System. This is where our eCommerce system really stands out. Gone are the days of manually entering / importing hundreds of different products. We make this process automated. Simply choose the supplier/suppliers you want to work with, enter in the suppliers URL to our system, specify the categories to use and the mark up you would like to receive. Our custom built scraper then pulls all the selected suppliers products into your store automatically. Once all the products have been entered, our system rechecks all the entered products. 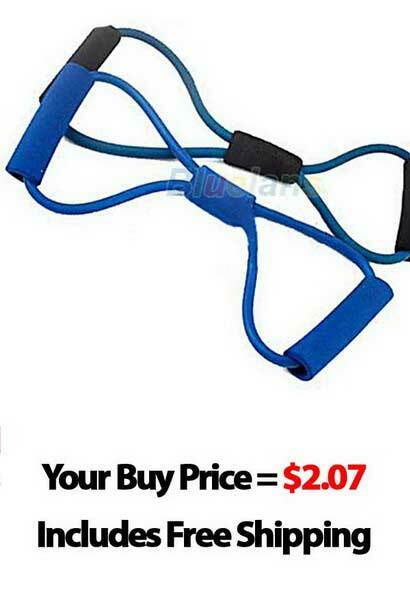 If the price has changed, your store price will be updated. If the product is no longer available, the product is deleted from your store. Shop fully integrated with the advanced SellerBot drop ship system. Specify the suppliers you would like to work with, the products to import and what categories to display them in. Add your margin (either a fixed rate ie $30 or a percentage increase ie 200%). Products are automatically added to your shop, with their title, product description, product images and new increased price. We make it easy for you to sell online. Simply order one of our Seller Bot Sites, add in some images and pick your sites colors to make the site your own. Choose the supplier/suppliers you want to work with. Enter in the suppliers URL to our system and specify the mark up you would like to receive. Our custom built scraper then automatically pulls all the suppliers products into your new shop. SellerBot has been designed to work with a huge number of different distributors and wholesalers, so no matter what type of product you are interested in, there is a supplier who you can partner with. By becoming a member you will gain full access to our supplier database which contains contact details of 1000's of suppliers. your making my life easy, thank you for the support your giving, very much appreciated! Cheers, James. Yes the site looks fantastic – very happy with that. Thanks so much. Vanessa. That is looking great, thank you so much !! Am very impressed with how the site looks and also the time it took. Sue. You guys are amazing! John. No matter what you want to sell, we have a supplier for you! SellerBot works with some of the worlds largest suppliers, so no matter what type of product you want to sell, we have a supplier who can help. 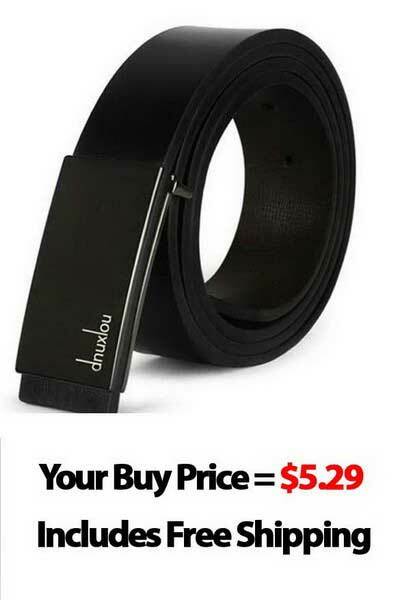 This is really a Game Changer as it dramatically reduces your risk of selling out of stock items or items for the wrong price. 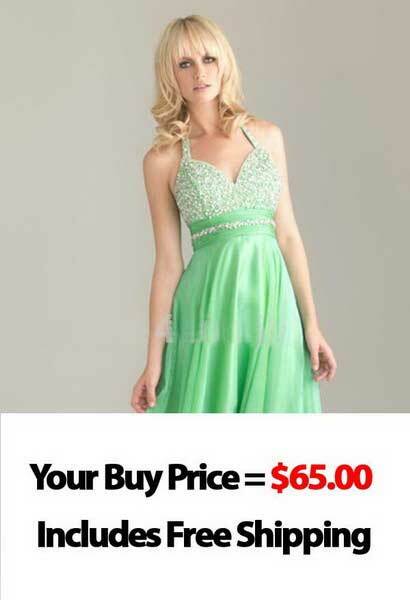 When selling online your website design is important. To sell the most products possible you need a design that loads fast, is easy to use for your customers and that also looks good. Below is a number of professional designs for your new shop. If you are after a design that works on all mobile devices as well as standard computers, make sure you select one of our 'Responsive Designs'. To view one of these in action, just click on an image below. Once you have found a design you love, remember the theme name as you will be asked to select the design you want when checking out. 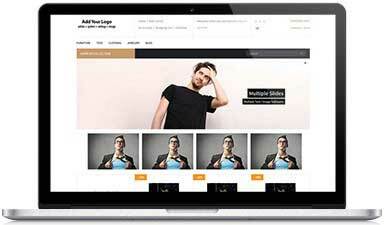 and modern design, a themecolor and texture module and a built in blog area. 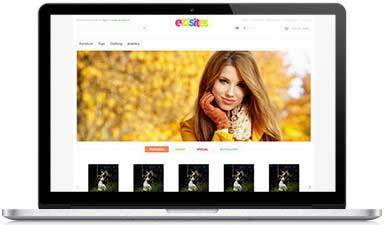 ASENTI is a Responsive and powerful theme that is perfect for any kind of web shop. display options, and 6 inbuilt color schemes to make your site really stand out. design, 7 built in color schemes and offers a responsive design that looks great on mobile devices. theme color picker to make your site really stand out. in colors to choose from and a drop in background color changer. CITYMART is a Responsive theme that is perfect for any kind of online market place. display options, and an inbuilt color picker to make your site really stand out. your site really stand out. different transitions, a clean and modern design, 12 built in colors and a blog area. 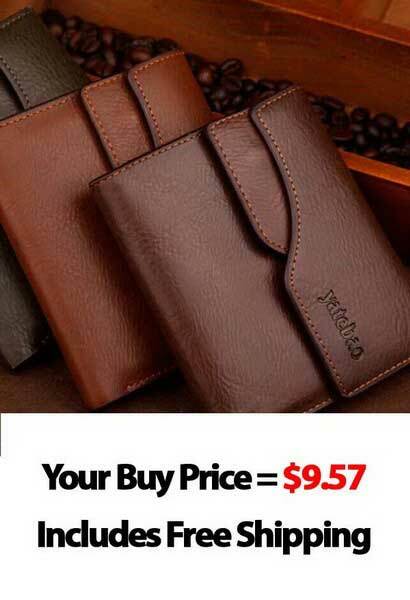 automatically displays % off for sales and 8 built in colors to choose from. with built in color control and a blog area. A Completely Automated DropShip Business. 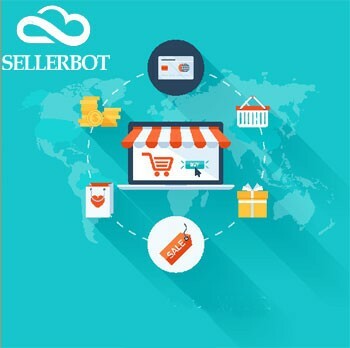 SellerBot has been set up to make your Drop Shipping business simple to run and simple to manage. We have been designing websites for over 15 years, we know what works and will make sure your new site is fully set up and running. Automated Product Importer / Updater. Automated product importer / updater / pricer. Access to our email marketing course. Everything you need to build a REAL Business. To ensure your information stays secure, SellerBot uses ClickBank. ClickBank automatically encrypts your confidential information using the Secure Sockets Layer protocol (SSL) from trusted vendors like Verisign and Thawte to encrypt sensitive data between and among you and our systems.. We do this so that you know you can order from us at any time in full confidence! All our ordering is processed through our trusted third party provider, ClickBank - the Internet's leading retailer of digital products. They securely process an order somewhere in the world every 3 seconds. You can rest easy knowing that all your personal and financial information is COMPLETELY protected. We also have NO fixed term contracts - you can cancel at any time - just let us know! What do I receive with every shop? 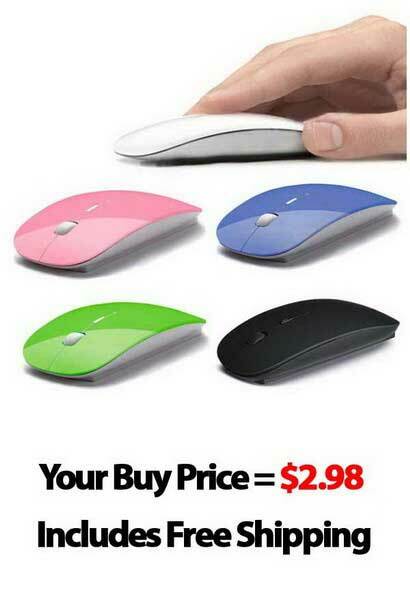 You get everything needed to sell online. 1 x Business Class Email Address. A Professional Design of Your Choice. Inventory / Customer / Order Management Systems. Access to 1000's of suitable suppliers. List up to 1,500 skus - get in touch if you need more. Access to our helpful staff and so much more. We have a few steps to get you started. Find a design you like. Fill out a short order form and enter in your payment details. You new shop is setup quickly. Details of how to access your store and your new admin area are emailed instantly. The full system is generally setup within 48 hours. Limited time offer - Get a Basic Design FREE. 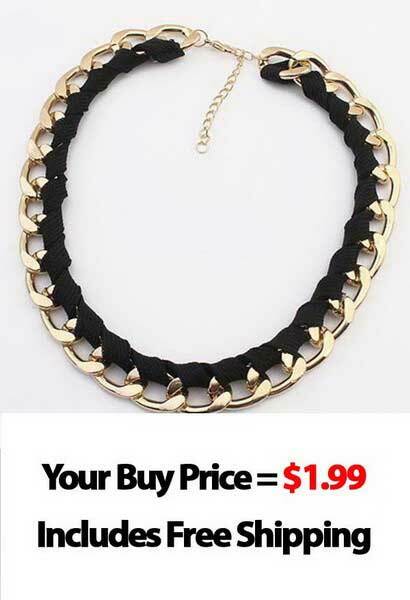 Yes you can import products directly from Aliexpress in to your new store. I have a store and I am having issues with out of stock items can you help with these issues as well.. Thanks for the great question. Yes, the Sellerbot does help with out of stocks. It not only imports products into your store but it also periodically rechecks items to make sure they are still he same as when they were imported. If the price has changed, an item goes on sale or it is no longer available (out of stock) the item gets updated on your store as well. Do you have a sample video showing how this works ? Hello, I would like to know if your software API work with wordpress platform? And What if I already have a website? Can a person just sign up for the membership only? Hello!!! Would I manage to add automaticaly whith Sellerbot Items or even collections from other sites, which are already my partners, even if they aren’t on your list of potential partners-wholesallers? Or I will need to add my items manually? Thank you for share the list of suppliers that you are connected with. Do you plan to bring o DHgate.com in the future? I am from Pakistan and, Paypal does not work here so is there any alternative way that I can operate a store from here? Such a scenic view ,looks great. Hi, can one have a .co.nz as the free domain as I’m in New Zealand, and, is there any New Zealand stores that are affiliated with you. My name is MR> TEGBEE, i am a Nigerian. Does sellerbot allow people from my country to participate in their dropshipping programme? Thank you. You can set up your very own drop ship site on the domain name of your choice for just $150 setup and $49 per month. Its not working .. how to join ? I want to open this business but I cannot open a PayPal account as there is no ZIP code in Swaziland. I also want to use a Debit Card account not a Credit Card for payment transactions. Hi. i have my own website. and i am interested to use your service. will it be possible to use existing site to imports products from your suppliers. What is the average time to get sellerbot site up and generating sales? 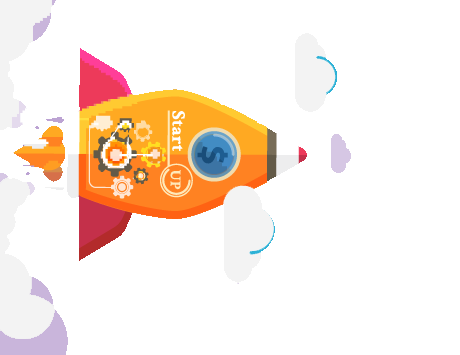 You can start modifying your site straight away. 1) Do you offer other wide range of choices & options within the products/ Niche areas? 2) Can I bring in other business distributor companies that can sell their products supplies through you business site too by having them listed on your niche list area or would I be able to do that on my own Drop ship site? 3) I have an interest in alternative health/Beauty products, & real estate, selling dried goods such as Biltong, Chocolates, Books, Crystals, and so forth… Would I be able to sell these kind of products through my Drop ship website? 4) Is one to only sell the pre-selected choices in the Niche list area and the pre-elected product suppliers list? Or can this area evolve & expand still? Also can new Niche interests, and Product supply sellers be introduced to your Drop ship business? I really like the way you have set up this virtual business. Its what I’ve been looking for and someone else I know who has also looked into starting a business like this but wasn’t sure how or where to start or how to go about it. I’ll refer them to you this week. 2. Yes, you can list your own products via the admin area of the website. Are you provide full Automation Pofessional plan?How many dropship orders allows per month and integrations? You can set up your very own drop ship site on the domain name of your choice for just $30 setup and $69 per month. im based in UAE..will you have free shipping to uae as well? Thanks for reaching out – Yes our system will work great in UAE (we have a number of customers from there. The suppliers we use ship almost anywhere in the world – many of them for free even to the UAE, and our e-commerce setup can use any currency. Hey just curious is this software still up and running and available? Curious because the last comment from you guys was from FEB 24 2016. Hope its still available! Hello. I have been contemplating joining. However, I have questions. 1. Does Sellerbot offer guidance on who to use and how to setup the financial system for my business? Accountants, help with filing the biz? What is the estimated monthly range of cost to successfully operate your system? 3. What about advertizing? Does your system help with that, as well? Thanks. 1. Does Sellerbot offer guidance on who to use and how to setup the financial system for my business? Accountants, help with filing the biz? Sorry as local laws vary so much we do not offer an accounting or business setup advice. What is the estimated monthly range of cost to successfully operate your system? For a store with up to 5,000 products the cost is $69. Once a customer orders and pays for their order, you will need to purchase the goods to send them. As you have already received money from them you dont really need any extra to cover this cost. You will need some form of advertising – you can do this for free or use paid advertising to get traffic faster. 3. What about advertizing? Does your system help with that, as well? Thanks. To get customers you will need to do some for of advertising. As part of this package you also receive access to our online marketing email series. This goes over a number of different way that you can use to generate traffic to your site. It covers everything from Facebook, to blogging to paid advertising. We are also constantly adding new marketplaces to our growing list. You can use one supplier or combine them all to get a great mixture of products. 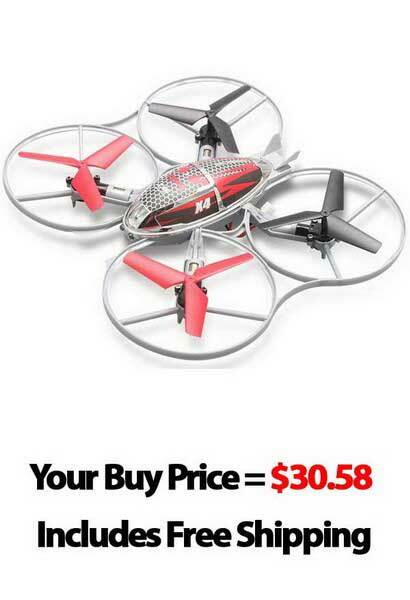 Does the wholesale price changes automatically to retail prices? 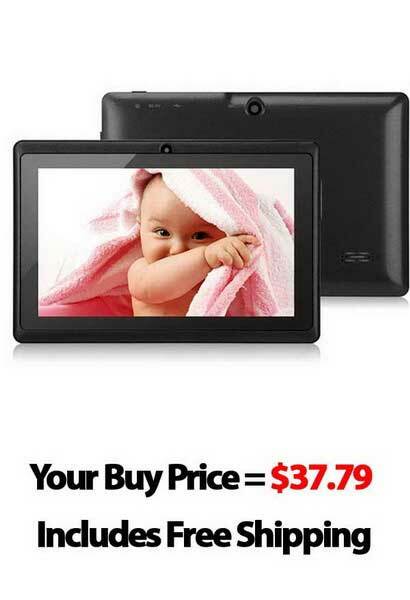 Yes it does – the system checks the current price then adds a markup automatically (either fixed of percentage based. Hi i can change the lenguage to spanish? Generally all the product descriptions are pulled in English. However there are a couple of options available using some of the auto translate tools available on the net. Hi, 1. what about payment method like bank transfer? It is okay for me to confirm them manually if it is available. 2. can the members save their deposit in the site? 3. Can i add some payment method myself since there are some payment gateway in my country? Can i use a query to update the payment status? Please reply me via email. Thank you. The system has a full customer area – this lets customers log into their account, view past orders and re order new items easily. It also saves their address details for the next order they create. We do have a few other payment methods available – some are free others have a small setup fee. Just email us the payment processor you would like to sue and we can see what can be done. Hey there, i am quite interested in sellerbot package. but still have issues need to clarify. 1, Is there any hidden costs, except $30 for the package and $69 every month? 2, Basically what we do is just choose what we want to sell on our own website and all these selected products info will be auto sync to our website on a hourly basis? 3, Do i need to process the customer order, or the system will automatic forward customer order to the merchant after their payment? 4, Will the tracking number update in the system and notify by the customer, after the customer placed an order and supplier sent the order? 5, Is there any customer ranking(higher level get more discounts)/coupon system/bulk order system in the package? 6, If i able to change the website theme thereafter? 7, Is the website customizable, like add on a blog section for product review purpose? 8, Can you show me some website that is powered by sellerbot? Sorry we dont share any of our clients sites – we do however have a few sites we have made in house that you can have a look at though. And is it possible to look at an active site please? This will work great in SA – Paypal + bank deposit comes as standard with all shops. We do have a few other payment methods available – some are free others have a small setup fee. Just email us the payment processor you would like to sue and we can see what can be done. Sorry we dont share any of our clients sites – we do have a few sites we have made in house that you can have a look at though. 1. Do I have to make any registration and validating personal (corporate) data in any of your Suppliers? 2. As I understand the business model, SellerBot’s Platform functioning as Third Party between Suppliers and DropShippers. This is something like Dropship-as-a-Service. Right? Great to hear you like out platform. Hi Do you have shipping services to Saudi Arabia? Yes our system will work great in Saudi Arabia. The suppliers we use ship almost anywhere in the world, and our e-commerce setup can use any currency. We have a csv product export option. You should be able to manually add this to Amazon Seller Central. I am looking to set up bearing/belt/chain dropship business. Do you have access to the suppliers of such products? Thanks for the email and great to hear you would like some more info about the SellerBot system. The SellerBot system works with a number of different suppliers. If I want ot make improvements to the website you design for me can I do that? This is a demo account so you can not do anything – however you can preview the areas. Do you have a BBB listing? No we do not have a BBB listing. Was there any info you are after that I may be able to help you with? Have a domain address already, but no web page. Can we use this domain name on our sellerbot site when we set it up? Can you sell these products on your amazon FBA Account?, if so how would I go about doing this? You would however need to purchase the items from the supplier, set up the product in your Amazon account, create an FBA shipment in your account and then have the items sent to the Amazon warehouse FBA wants you to send them to. Hi there, this is D&L. We need some info before we buy form you. 1) Do you dropship orders to our buyers? 2) Do you take Paypal? 3) Do we have to have a validate Paypal to buy from you? 4) Can we use a Unverified Paypal to order and dropship with you? 5) Do we need any licenses? 6) Do you require a federal tax ID, or EIN, or businesses ID/permit, or sellers permit, to dropship with you? 7) Do you ship orders USA, or Worldwide? 8) Can we use your pics, and name on our website? 9) Can we resell your items? 10) Can we get a discount to resell your items on our website? 11) If we lose our login information can we just make another account? 12) If there is no activity with no orders on our account for 30 days, or 1 year will it be deleted? 13) Do we have to make 1 purchase of any amount once per month, or 1 year? 14) Do we need a account to dropship? 15) What is the min. order we must place? 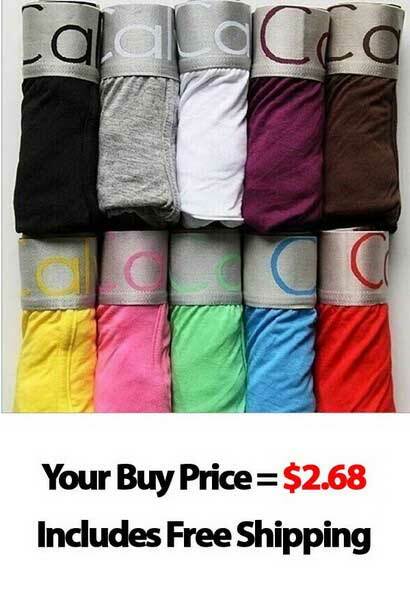 16) Can we get a wholesale price amount for dropshipping? 17) Will our buyers know ware the items came from? 18) Will you blind dropship orders? 19) Will there be any prices, or lables inside the box? 20) Who’s name will be on the box for returns? 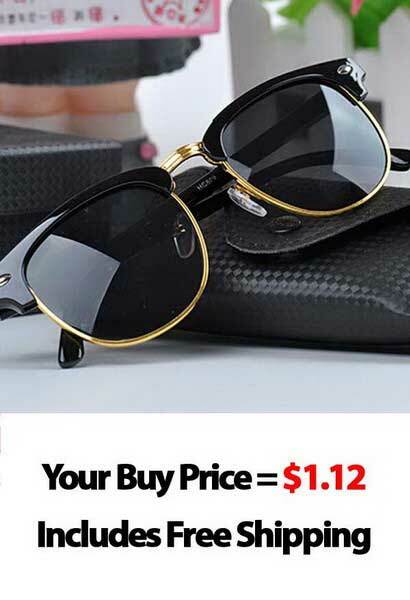 21) Do you offer returns on items? 22) What is the dropship fee? 23) What is the signup amount fee for dropship, or wholesale? 24) Do you have a CSV file, or XML file of your items? 25) What is the price for shipping to USA, or worldwide? 26) Can we resell your items, if we are resell others items from other websites? 27) Can we dropship with you, if we are dropshipping with other websites also? 28) Do we have to buy, and dropship with you only on our website? 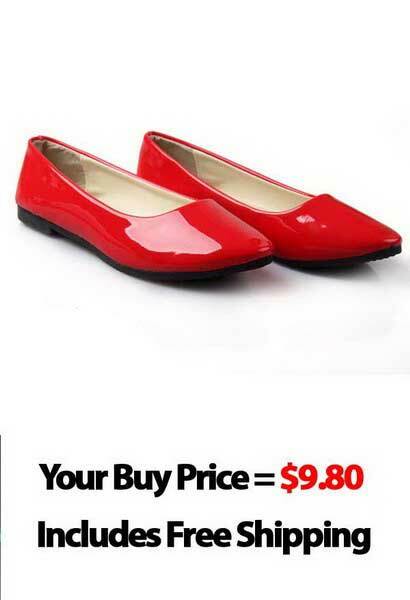 29) What price can we set our items to resell? 30) What is the min. MAP price we must resell your items on our website? 31) What are your other websites that we can order from? When I mark an item as shipped? Does it give option to add tracking number nd does buyer receive an automated email when order is marked as shipped? Does price include all graphic design on the website and is it custom made according to my requirements or I have to chose a plain template? Does website give option to create seasonal temporary discounts? And do they reflect on the items and does it show how much time left until the end of the discount? Can you email me a list of live websites that your customers purchased? You start with a template and you can the nbook in a design for it. Does website give option to create seasonal temporary discounts? And do they reflect on the items and does it show how much time left until the end of the discount? Send me some website who using sellerbot please. Would like to take a look for awhile. My understanding is we purchase a website from Sellerbot all set up ready to go for $30. 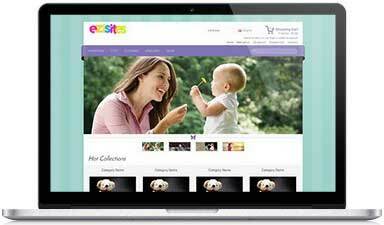 There is a $69 a month fee to run it, The site is linked to certain merchants and self populates with new stock and removes old stock on a daily basis. The orders come from the site to ourselves and we then place the order direct to the merchant who ships the products. Hopefully we have this bit right. Can we select which merchants and which products from those merchants go in the site? Can we add our own photos of some of the products? Can we add merchants you don’t have listed as suppliers? 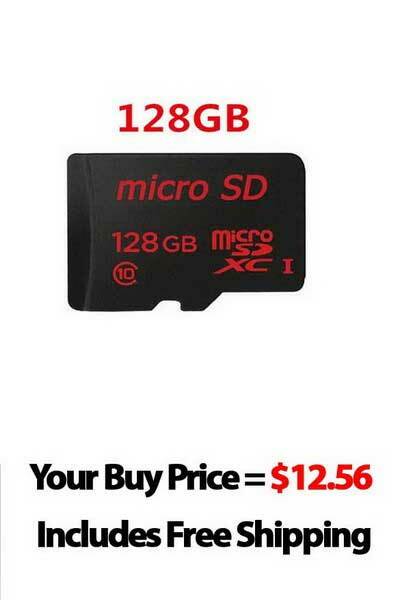 How reliable are the merchants supplying products? 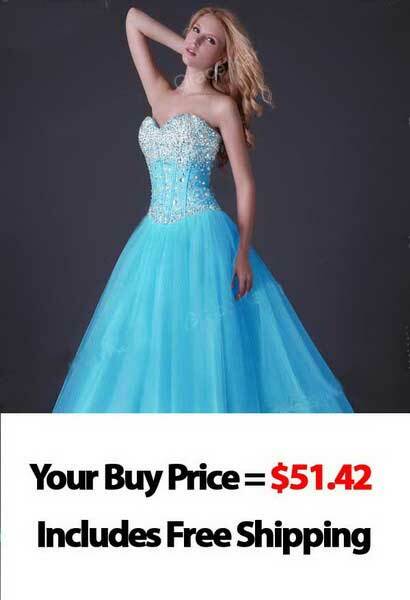 Sizing seems to be the biggest issue with shopping from China. How is this best overcome? Do the merchants send the goods without their branding and with our label? What happens if the products are wrong size/damaged/poor quality etc? How does things like tax work? Yes the first part about the system is spot on. Yes you can list your own products via the admin area of the website. Yes, you can use one supplier or combine them all to get a great mixture of products. Most suppliers offer a guarantee on the products they sell. You can either get the customer to send it back to you and you then send it back to the supplier, or get them to send it direct to the supplier as a return. It has instant setup of the base eCommerce area- we then manually add in the Sellerbot system, set up the domain name + emails. Generally within 24 hours this is completed. There is also a basic free design service available as well – this takes up to 5 days to complete. Yes – As part of this package you also receive access to our online marketing email series. Hi, my is RoseMarie, I’m interested in building an online store. But I work for Wall Mar, managing their HBA. i was wondering if you have any supplier in that particular niche. This is the niche I would like to pursue. Yes we have loads of suppliers in the Health and Beauty Care/ Health and Beauty Aids area. How do you deal with things like warranty? and replacements due to damaged goods? The system itself does not offer custom merchandise. You can however add it to your site manually via the admin area of the website. After store creation, how does the process work when a customer visits the store and buys an item? Keep in mind this is an item that was added from the suppliers set available as above. Payments go directly to you via Paypal. Each order takes a couple of minutes to process. You also never need to touch the physical item – the supplier does everything for you. I am looking for the similar services where i can run and operate an online e commerce site, However i have some questions about this suppose i am operating the site from UAE ? is it possible to cover world wide customers? and if yes how long the delivery time frames i mean i saw most of the suppliers are dispatching the goods on 30 days time frame which is very long time, how to handle the customers queries its its takes a long time to ship the products? i am really very enthusiastic to start with you, and grow my business. Yes you can sell your items world wide – regardless of where you are based. What we do for our sites is deal with only a couple of suppliers who offer a range of products that we want to resell. This makes things easier to manage and lets us build a relationship with them. The suppliers that we do deal with have the option for faster delivery, the price of this does vary based on the item purchased. If a person really wants it quick they then have the option of paying more. Basically this gives the customer an option and builds the delivery expectations before paying for the item. The amount of people paying for faster deliveries, does vary upon what you are selling and at what price the item is. ie in the past – We have had wedding dresses rush ordered from our suppliers in China to customers in Australia, US and even NZ. 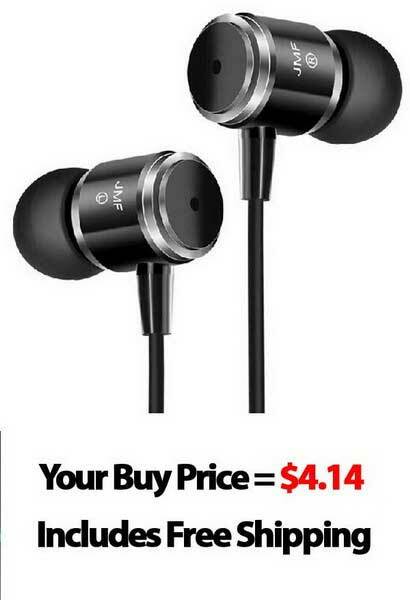 The customer received them within a few days of ordering. We have also sent out wedding dresses at slower speeds. It depends on the customers requirements, and this way gives them an option. I have also sent you a list of suppliers that you can check out to see if anything is suitable for you. This is all you need to pay to get started. 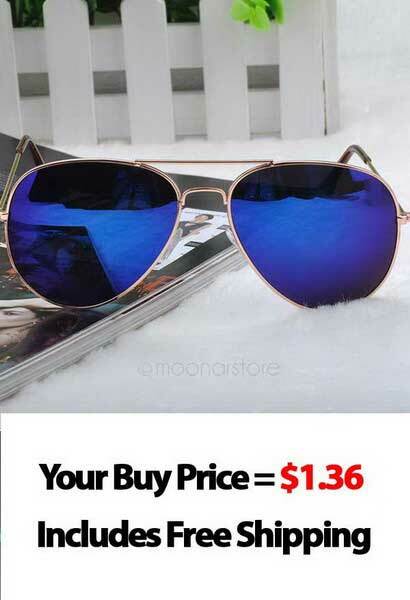 Stock is also only purchased once you have received the funds from the customer. Kindly send me one sample site where sellerbot is functioning. Send to XXXX@gmail.com I am ready to order. Are orders automatically made, or do I manually order from the supplier? Currently ordering is a manual process due to the massive number of different suppliers we can import products from. For each order you need to log into the supplier website, select the product purchased, add in your customers details in the delivery address then pay for the order. However once you have built up a relationship with the supplier we can enable a double email order system. When a customer orders something on your site, the order details can get emailed to both yourself and the supplier. If you have a good relationship with the supplier (ie completed a number of orders with them) some suppliers will be happy to process and dispatch the order for you based on the order email the system sends. This does make it a more automated process. Please note that not all the suppliers we deal with will do this for you so you need to ask them directly – if you have enough sales volume they will consider it. After the $30 and the monthly fee of $69, do I still have to pay for advertising ? How will traffic who will buy from me know I am open for business ? Your store will get some exposure once it is set up as we actively submit your websites feeds to a few different Search Engines. However to get the most sales possible you will need to actively promote it. This email series goes over a number of different ways that you can use to generate traffic to your site. Thanks for the comment and great to hear you would like a bit more info about the SellerBot system. Sorry this is a complete eCommerce solution – it can not be added to another store. This does mean there is no need to pay to have your store running with a 3rd party. A good way to see if this is for you is to check out a demo. This is for the ecommerce area. – This is a demo account so you can not do anything – however you can preview the areas. Once set up, the system pulls the data / images into your store automatically so this is a one off setup. 1)What is included with the 150$ set up fees? How is your SellerBot different fro Amazon Stores ? Do you have active customer website that I can see ? Most demo sites shown are very inferior with missing info. If I don’t like, I will loose $30 plus $69. 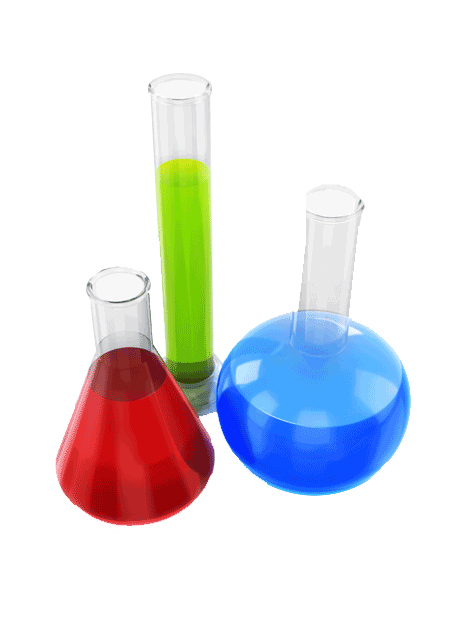 Do you have Free Trial account to test your website because demo is not giving a full picture of the operation. It looks like Amazon webstores is now closed to new registrations / shops. Probably this wil lmean thye wil lstop developing it. SellerBot auto imports products from a number of different suppliers. It then periodically goes through each product imported to check for price changes and out of stocks. If it finds a change it updates the product on your site. This is handled by the SellerBot tasks area – we can also set up a few tasks for you to get products on your site. We also offer a more complete package as we also have a free basic design service to get you a fully working store. This includes a basic logo + 4 x royalty free images for the home page slides + a color change of the site to suit your needs. Yes we do – please email in and a few more completed sites can be sent over to you for review. Sorry we do not offer any refund / trial / money back guarantee. The reason we don’t offer this is that it takes a lot of time for us to set everything up on your site. However a good way to see if this is for you is to check out a demo. 1) Will I be able to change the theme after website is setup? Do you charge setup fees later for change of theme ? 2) Does the website have tracking code and updated status of the shipped order placed by the customer? 3) Do you provide technical and sales support to customers who placed orders on the designed website ? 4) Is shipping charges additional for worldwide shipping of orders ? Do you provide shipping free for the order placed from supplier product. 1) Will I be able to change the theme anytime after it is setup? Yes, however it is not a simple process and will incur a change over fee of $150 as it is a very manual process to do this. There is a full order mangement area within the admin area of the store. This lets you add in order updates as needed. The updates are not automatically pulled from your account. Yu would need to do this for each order. Do you provide technical& sales support to customers for the order enquiries or processed orders etc? No – we are a system that pulls product info from a supplier website directly into your own website. It then updates the prices and rechecks for out of stocks or price changes and updates your listing accordingly. As above, the order area is not fully integrated with the supplier – updating orders is manually process which is pretty quick and easy to do. Yes there is a number of industrial products available. 1. Is it possible to edit/modify the product descriptions once they have been imported from the suppliers? 2. How easy would it be to integrate with marketing channels (Google Shopping etc.)? 3. How customizable is the website? There is a basic RSS feed available as standard. WE can add in different feeds if required for a one off fee. Each area is created as a module – you can tunr on / off these areas and in some cases move them around the page. You can also easily change images on the site as well as colors to suit. All the sites we build come with a built in currency area / converter. This lets you list and sell the products on your site in almost any currency in the world. Most of the suppliers the SellerBot system works with offer a guarantee on the products they sell. Anyway have a look and let me know if you have any questions. can we start this in india??? Our e-commerce setup can use any currency. As for your existing site, unfortunately this is a complete package. The system has been designed to work only on our own eCommerce platform. It can not be hosted elsewhere or integrated with an already existing website. This means that you would need to set up a new site with us. However, one option is to set this up on a sub-domain of your current site. This means you can keep your existing site and then link to your new eCommerce site for people to purchase off. Hi i know you cant give me exact numbers and it will very depending on imput ect but what would be an average sort o income with average imput. i guess i want to know if i am not very skilled at this will i cover costs until i am? It is very hard to tell you exatly how much you would made – it is probably also illegal to do so. As with any business there are a lot of variables, ie niche selected, if you advertise, mark up percentage you add, the target customer etc. However eCommerce has proven to be a very rewarding business if you stick at it and work on it. Yes, a lot of people are making some great money – of course they just dont want anyone else to know or more importantly to see their site and copy it. It does take a bit of time to build everything up but eCommerce is growing massively at the moment so a great time to get something going. 1. Is it possible to add UAE currency (AED) ? 2. Is it possible to add Arabic text option on the header? 3. Are you thinking about providing a mobile app option? For example, shopping app that can be uploaded on Android & Apple stores? This is auto updated once per day. Not as standard, however is you are referring to the navigational header then we can manually modify this text for you – you would however need to clearly explain what text is to be entered. Most of the designs work on mobile devices as standard (look at our responsive designs). We do not currently have app store apps available. We do however run a web design business so I am sure we could create something for you if needed. Hie folks can u tell me how to about this on line business well I’m a fresh man just willing to learn and who knows. Currently our system works with the worlds top providers. Most of them will ship their goods anywhere in the world. Basically our system lists the suppliers products on your store – when someone purchases a product you order that product from the supplier and have the goods sent directly to your customer – this saves you ever handling the goods. Your profit is the difference between the sell price and the buy price. Your new SellerBot site is a full eCommerce website, loaded up with an automated drop ship product feed importer. You can set up multi categories and list loads of products all with just a few minutes work. The products are imported with their title, description, images and seo data all pre entered. Once imported, you can also go in and update these details as needed. Our system automatically imports products (at the rate of 3 every five minutes). ie If the suppliers changes the price, the shops price changes, if the goods are no longer available, the items are deleted from your store. All this happens in the background with no work from you. All of our sites come with an easy to use admin area and full ongoing email support in case you get stuck. Hi, I am based in South Africa and very keen to to start droppshipping. I also identified on your web the company I wanted to start with. Is it possible to get started I am in full time employment and wanted to do this on the side to try to build it up. Also do you know of any south Africans who are doing this currently and is it working. Yes our system will work great in South Africa. The suppliers we use ship almost anywhere in the world, and our e-commerce setup can use any currency. This is also an ideal business to get started and build up over time. All the product importing + updating is automated which saves a lot of time. Yes our system will work great in New Zealand. The suppliers we use ship almost anywhere in the world, and our e-commerce setup can use any currency. What the catches with signing up to sellerbot? One of the best things about our service is we dont have any long term contracts – just month to month. If you want to finish up just let us know before the end of the current payment period. This is everything you need to start selling online. 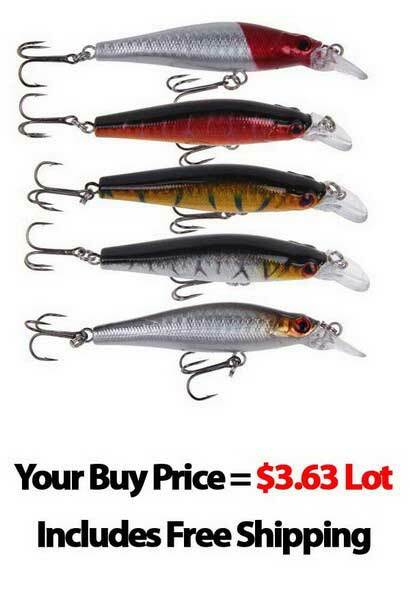 We dont have any hidden fees / catches – the only time there is a charge is for something outside the above. If you do need something a bit different let me knwo and we can price it up fory ou. Yes you can manually list your own products via the admin area of the website. 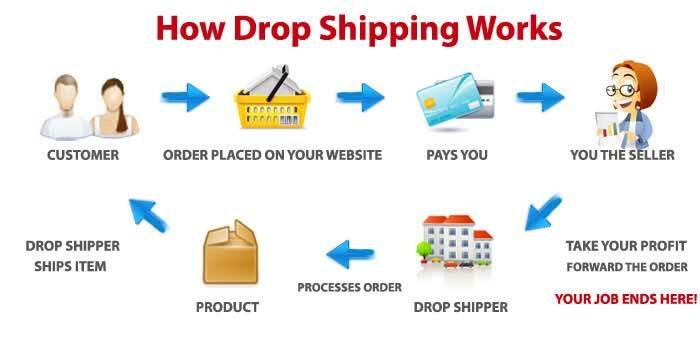 Good day, I am interested in your service to set up an online store using drop shipping. Is there any way to first be able to browse the products (and prices and shipping fees) that you are able to source? Hi, does your technology enable for me to use my own Retail site? Unfortunately this is a complete package.